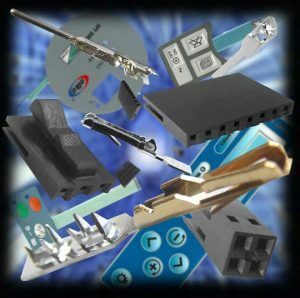 Memcon is a Global Supplier to the Membrane Switch and Flexible Technology Industry. With customers located in countries all over the world, Memcon has grown over the last six years to be a multinational business with facilities in Hong Kong, Michigan USA, Shenzhen China and Letchworth England. Our international offices enable us to effectively support our customers locally and at the same time, provide export facilities to our overseas customers. As a leading supplier in our specialist market place, we have diversified our product range from Electro-Mechanical technology used in our extensive range of Connectors and Metal Domes, to the latest in Opto technology to bring to the market one of the worlds thinnest LED’s in a 1206 Chip Package. Our adhesive range continues to develop with our latest introduction being the Double Thickness Laminated Spacers. Within each of our product groups we endeavor to offer the market one of the highest levels of product quality available. By investing in the latest in leading edge techniques to manufacture our products and at the same time utilizing these techniques alongside the opportunities for lower cost manufacturing, we aim to give our customers a cost effective solution and benefit when incorporating Memcon products in their application. We continually expand our product range, exploring new techniques and packaging methods. Our aim is to help our customers utilize cost effective assembly methods. If you are seeking a new solution to realize your newly designed project, or you are looking to cost down your current design or process, contact our office and one of our Business Development Specialists will be happy to talk you through our available options. Our team have extensive experience, not only of our products and components but also manufacturing/process knowledge to help complement this. We look forward to proving our service and commitment to you.